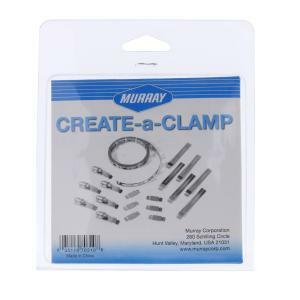 Create-a-Clamp Kit allows you to create the perfect size clamp for your particular project or as a temporary solution in any situation. Durable enough for permanent installation. Constructed with 300 grade stainless steel for long lasting corrosion resistance. Standard 5/16" slotted hex head screws. Rated for 100 in-lb of torque.